The company which is supplying Ireland with its swine flu vaccine has said the first batch of the medication is ready for distribution. Baxter International has announced that the vaccine, called Celvapan, has been tested and cleared for use. The firm has contracts to supply five countries with the medication and is now in touch with national health authorities to plan distribution. The Government has ordered more than 7.5 million doses and is planning to offer vaccination to the entire population in the autumn. 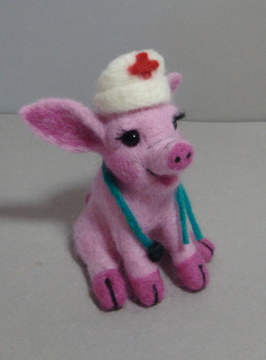 VeryHappyPig is still upset this flu is named after pigs!